Filed to: ¡No Señor!Filed to: ¡No Señor! Rickie Ricardo is the Spanish radio play-by-play guy for the Eagles (and, weirdly, the Yankees). 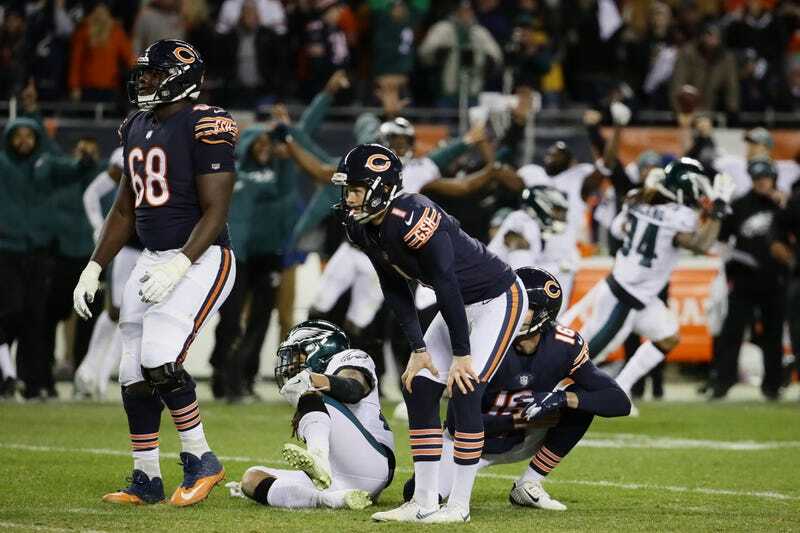 He was in fine form Sunday evening, as Philly survived and advanced on a missed field goal by Cody Parkey. “I almost had a heart attack,” Ricardo tweeted of Parkey’s kick that banged off the upright, the crossbar, and out. 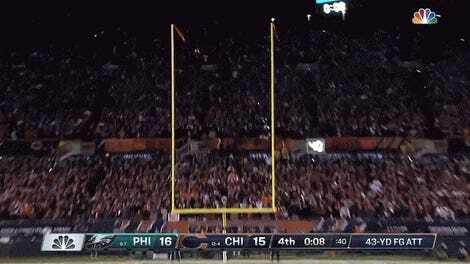 ...Cody Parkey’s foot ... 43 yards. The snap ... he kicks it ... distance, direction ... he hit the goalpost! No! He missed! No sir! No sir! No sir! No sir! No sir! No sir! The Eagles leave with the victory! Ayyyy papa! No sir! No sir! [Singing] Chicago, Chicago! We’re going to New Orleans! Philadelphia wins the game! He hit the goalpost! Excitement is a universal language, and “doink” is beautiful onomatopoeia.